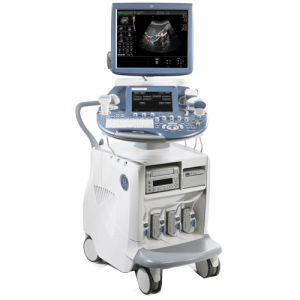 GE Ultrasound Medical Systems Sales and Repair Center - Hiliex Inc. The powerful GE Voluson E6 is designed specifically to give you the exceptional vision you need today so you have the flexibility to meet your emerging needs. This versatile system helps deliver expandable capabilities to grow with your practice. 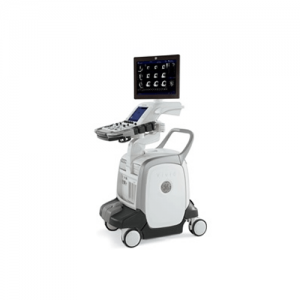 Voluson E6 has enhancements to help you improve patient care and simplify your workflow. Touch screen — the user interface helps enhance workflow speed by eliminating keystrokes and displaying critical functions prominently. New PDF export capabilities — This tool allows the export if report data in PDF format with just the push of a button. Virtual Rescan — The system captures raw data with every exam, enabling a virtual rescan of the patient at any time after the study, on the system or at a remote ViewPoint workstation. 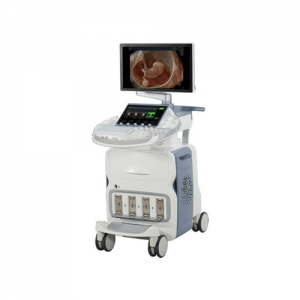 Anatomical M-Mode (AMM) — Apply M-Mode to two separate areas of the fetal heart to help assess arrhythmias—either while scanning real-time or from a stored clip. Scan Assistant — Customizable and user-friendly tool that helps improve quality assurance, increase exam consistency, and enhance productivity. ViewPoint — reporting and image management enables clinicians to create electronic reports that include images and charts, enhancing archiving and physician communication. ViewPoint also enables volume manipulation with 4DView option, and ultrasound data importation to your medical record system. 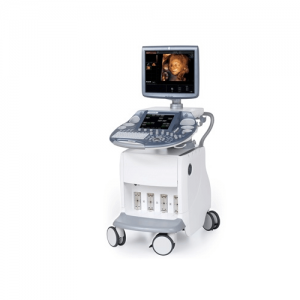 Extraordinary image quality — the foundation of Voluson ultrasound— to help achieve a clear view into obstetric and gynecologic exams. Sophisticated fetal assessment tools — to help support earlier, more detailed evaluations. 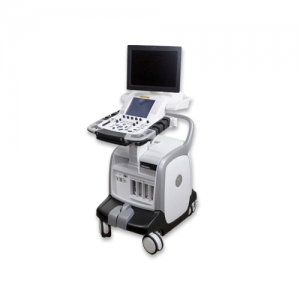 Innovative probe technologies — to support thorough evaluations of even the most challenging patients. 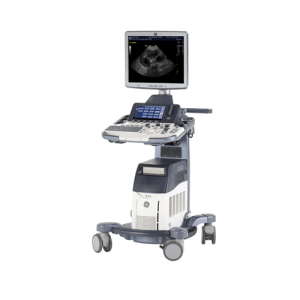 Easy imaging — with system intelligence and probe technology combining to produce outstanding images with minimal user interaction. Easy-to-use automation tools — that help streamline workflow, forge stronger connections with patients and referring physicians, and control costs. 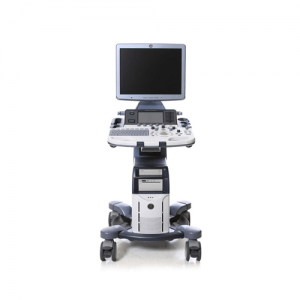 Ergonomic design — that simplifies how users interact with the system and helps provide optimal comfort while scanning.